The novel European Space Agency technology would scoop up atmospheric nitrogen and oxygen during near-Earth orbits and turn it into fuel. 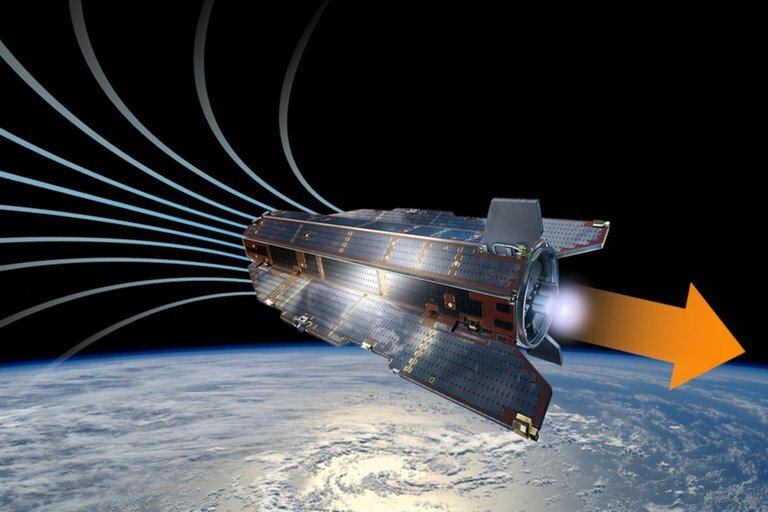 F	F	or the first time, the European Space Agency (ESA) has tested a novel air-breathing electric thruster that could allow near-Earth orbiting satellites to stay in space almost indefinitely. The thruster, designed to harvest atmospheric molecules and use them instead of onboard propellant, could also make future Mars exploration easier, ESA officials said. Satellites need propulsion to hold their position or move around in space. 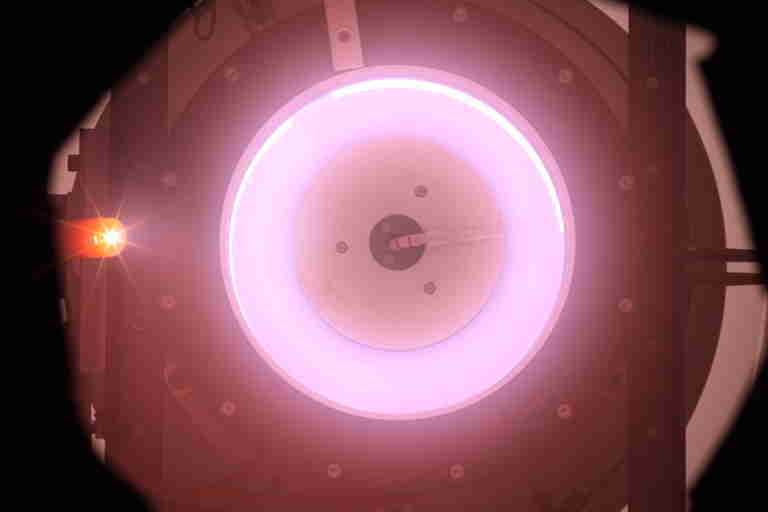 Conventionally, satellites use rocket-like chemical propulsion, but electrical thrusters are becoming increasingly popular due to their better efficiency. However, current electrical propulsion systems still need to use a propellant, such as xenon, and their mission lengths are therefore limited by how much propellant they can carry. Due to weight constraints, satellites can carry only a limited amount. Those orbiting close to the Earth, in the range of a few hundred kilometers (about 125 miles), consume it at a higher rate, as they need to compensate for the atmospheric drag that slows them down and pulls them toward the Earth. Together with the thruster, ESA tested an innovative collector that captures incoming air as it hits the thruster at the staggering orbital speeds of about 4.9 miles per second (7.8 kilometers per second). The collector strips nitrogen and oxygen molecules from the air and turns them into fuel. It's this collector that makes the system the first of its kind, demonstrating how an air-breathing thruster would actually work in orbit. 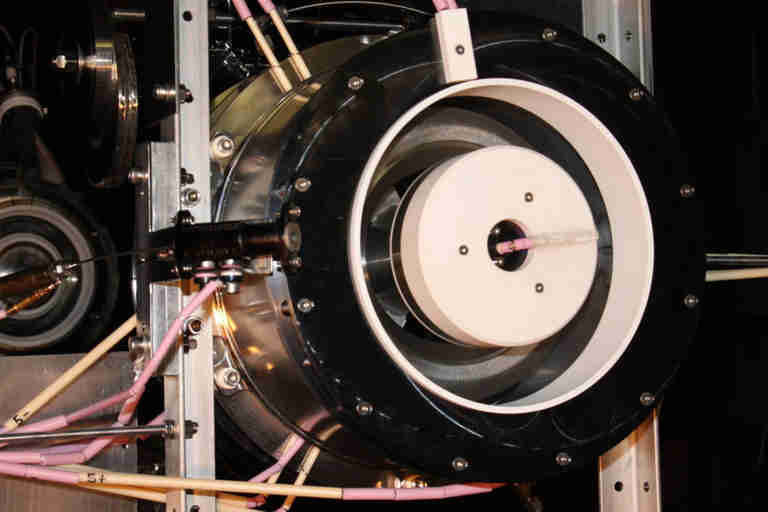 ESA, which funds the thruster's development through its Technology Research Program, started working on the project in 2015 in collaboration with the Polish firm QuinteScience and Italy's Sitael. Researchers tested the technology in a vacuum chamber in Italy, simulating the surroundings at 200 kilometers (120 miles) altitude, according to the statement.